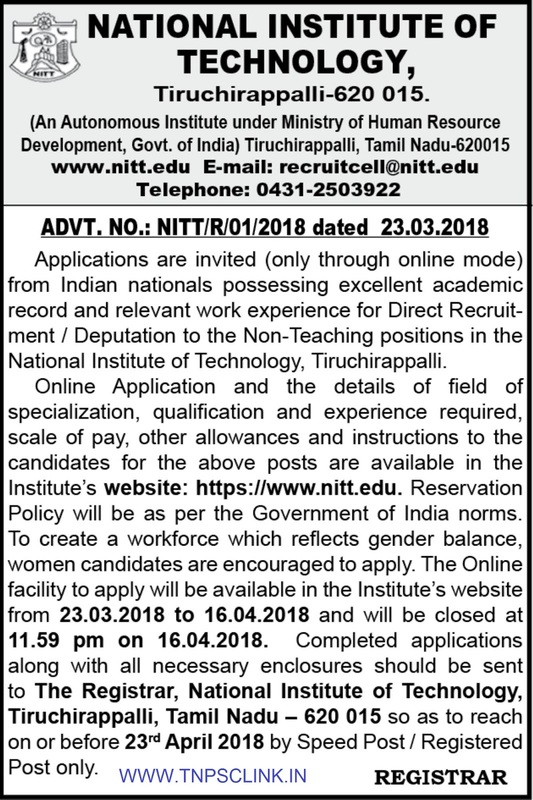 Online Application and the details of field of specialization, qualification and experience required, scale of pay, other allowances and instructions to the candidates for the above posts are available in the Institute’s website: https://www.nitt.edu. The Online facility to apply will be available in the Institute’s website from 28.03.2018 to 16.04.2018 and will be closed at 11.59 pm on 16.04.2018. 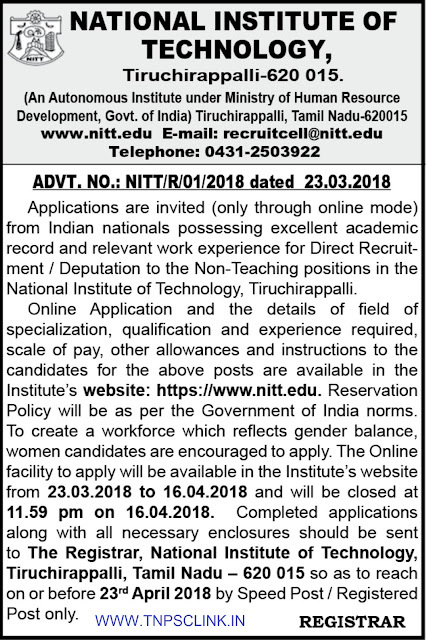 Completed applications along with all necessary enclosures should be sent to The Registrar, National Institute of Technology, Tiruchirappalli, Tamil Nadu – 620 015 so as to reach on or before 23rd April 2018 by Speed Post / Registered Post only.